This darling blue cotton blend romper was hand made in the Philippines by Feltman Brothers, a leading manufacturer of classic children's clothing for 100 years. It features a pintucked chest with rows of openwork. The blue Peter Pan collar is edged with openwork and white rick rack and the short straight sleeves have turned back cuffs edged with fagoting. 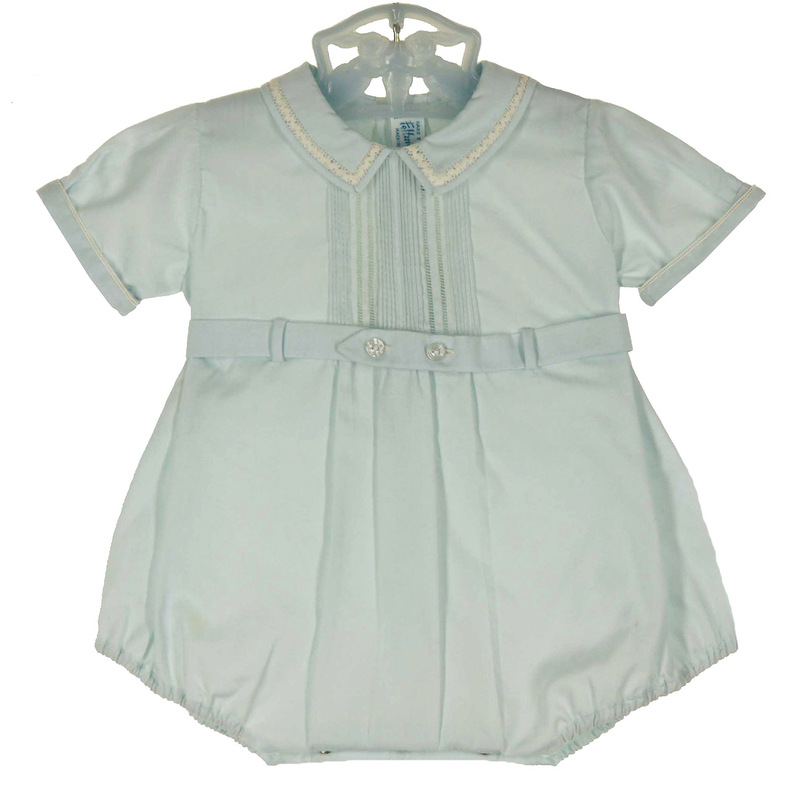 The romper has a blue belt that buttons at the waist and a back buttoned closure. The romper has elastic leg openings and snaps in the crotch. 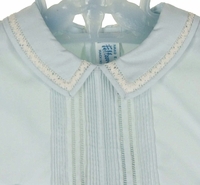 This would be a darling heirloom portrait romper or special occasion romper for your baby boy!